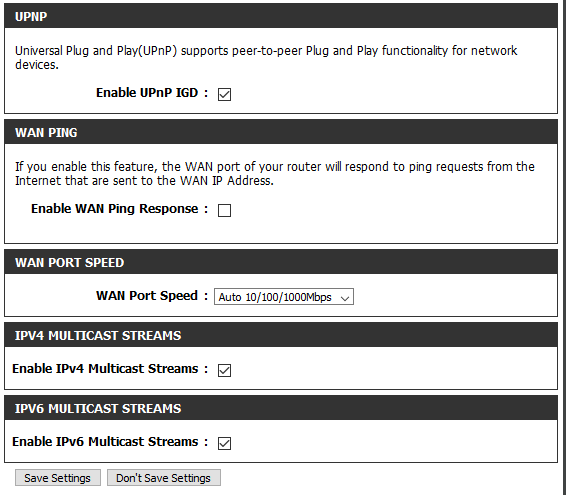 Set Firewall settings to Endpoint Independent for TCP and UDP under Advanced/Firewall. Enable or Disable SPI to test if seen. 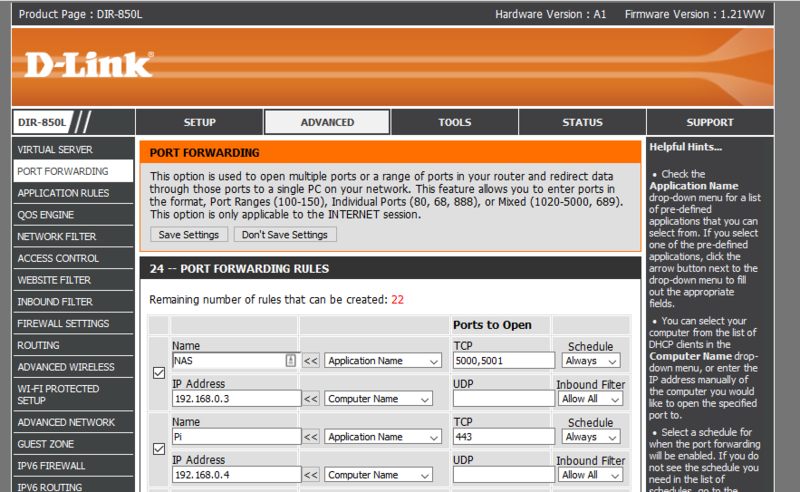 SSH is enabled and the port has been changed to 443. I don't think the issue is the Pi, because when I remove the DLink I can access the Pi. I also tried with other ports (like 80) but none get opened. Does your ISP modem already have a built in router or is it just a modem only? It has a build on router. But on that router I put the DLink as DMZ. Ah double-NAT. You should place the modem-router in bridge mode then use the D-Link as your router. I would also suggest not using 443 at the port. Use something between 1028-65535. At least try to test. Unfortunately my ISP does not allow this (they don't give us the username and password) so it's not possible.